From the largest recording facilities to the smallest bedroom studios, Pro Tools® is the most popular sound creation and production system in the world. 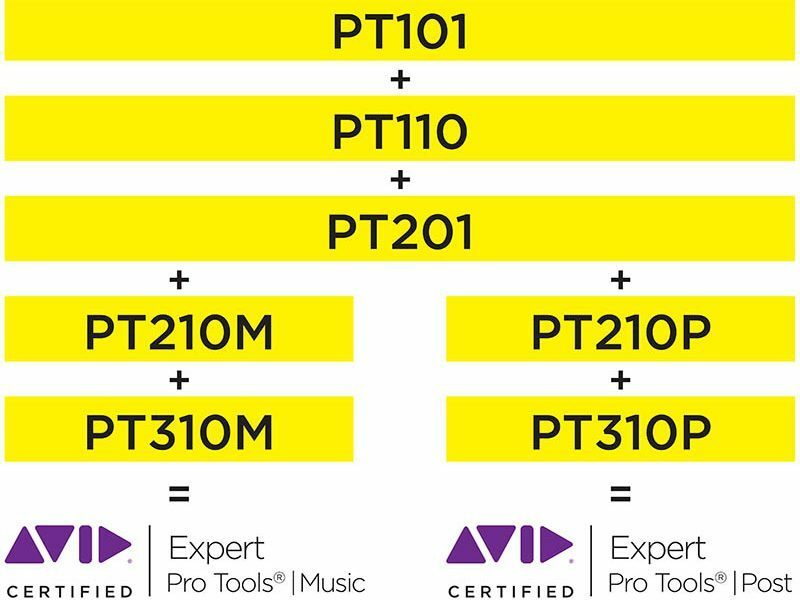 Avid Training offers a comprehensive Pro Tools curriculum to help you get the most out it. Select individual courses or brush up on your Pro Tools skills. Work toward certification as a Pro Tools Operator or Pro Tools Expert to master Pro Tools systems and land your next gig. Whatever you choose, you’ll gain valuable skills while connecting with peers who share similar interests and abilities. The program offers 100-, 200-, and 300- level courses to help you become proficient with Pro Tools systems. If you can’t find what you are looking for here or would like to discuss a group booking or educational discount please get in touch – 0161 214 4600 or training@futureworks.ac.uk.